My name is Ethan Kociela and I am a Graphic Designer from Montague, Massachusetts. I currently work as a Senior Art Director for an amazing marketing and advertising agency, TracyLocke. I have 12 months of exposure, experience, and training in web design, UI design, and social media. I am a graduate of the Hartford Art School at the University of Hartford where I majored in Visual Communication Design. The more I learn about my field, the more I love it and realize I am doing the right thing with my working career. Nothing makes me happier than to know that I found my true niche and I will be doing what I love for the rest of my life. I vacation on the Cape, love Boston sports, and use the adverb "wicked". The best concert I have ever seen was Jamie Cullum. Billy Joel and Katy Perry weren’t bad either. 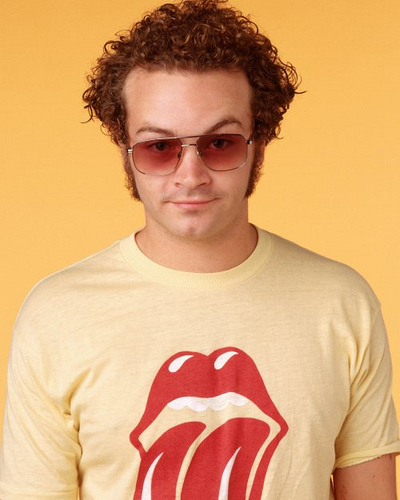 On more than one occasion, I have been compared to Hyde from That 70's Show. I try to be a runner and a hiker, but unfortunately, designers do A LOT of sitting. Also, I won't say no to a game of basketball, touch football, or Texas hold 'em. Random Fact: I was voted class clown in 7th & 8th grade, and best actor in 12th. There are many things that inspire me so to keep this simple, I will leave it up to you to browse my tumblr and delicious accounts. The rest of my inspiration for the most part comes from the many wonderful people around me. From my family and friends to co-workers and clients. Although I am currently employed, I am always excited and open to take on any freelance opportunities. If you are interested, email me at ethankociela@gmail.com or click the "CONTACT ME" tab at the top of the page and let me know how I can help.